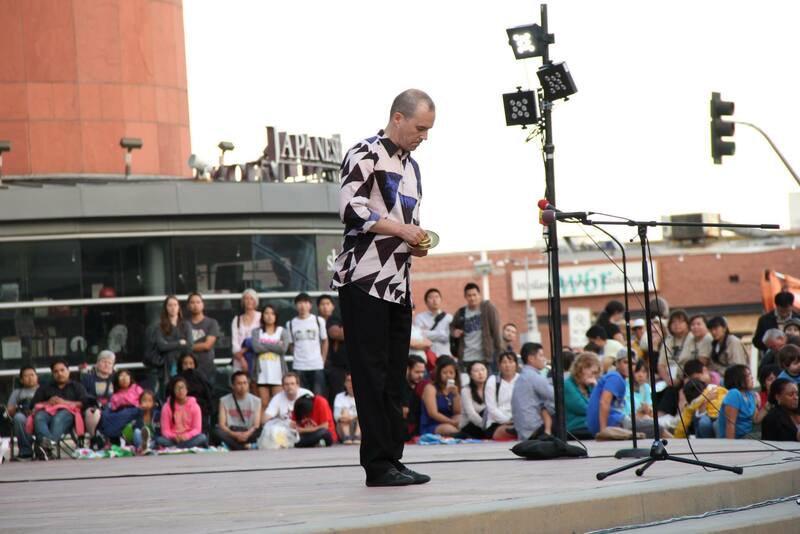 The weekend of July 18-20 was spent in Little Tokyo at the first World Taiko Gathering. The event was a smash success and superbly organized by Taiko Project. I was happy to meet new and old friends at the gathering, teach two workshops, and perform a short chappa solo at one of the evening concerts. My sincere thanks to the organizing team for all their hard work. The trip wrapped-up with a wonderful outdoor gig at the lovely Descanso Gardens, near LA. It was such a pleasure to play with On Ensemble and their extended family again, including Eien Hunter-Ishikawa, Lucas Muraguchi, Kaoru Watanabe, Kenny Endo and very special guest dancer, Chieko Kojima. Great evening of great music and dance! 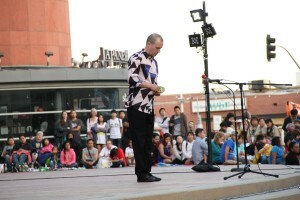 This entry was posted in News and tagged chappa, kaoru watanabe, LATI, on ensemble, taiko, WTG. Bookmark the permalink.